Last week the Top 12 toys for Christmas were announced at Dreamtoys. Included in this list was the Harry Potter Wizard Training Wand. There are four different wands in the collection including Harry Potter's, Hermione's, Dumbledores and Lord Voldemort's. Each wand has its own unique design to look like that of the character's. 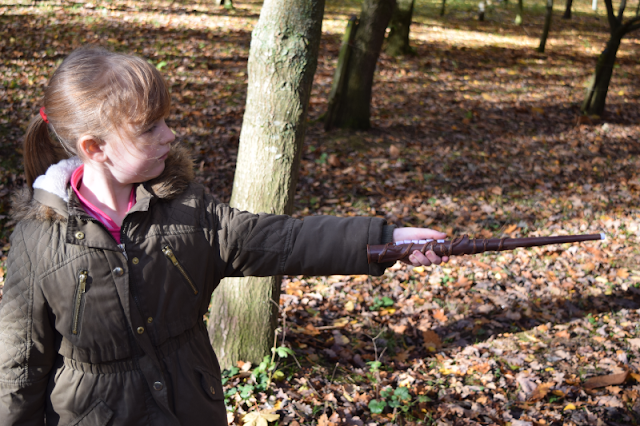 We were sent a Harry Potter wand and a Hermione wand to try out and test both the single and multiplay features. We spent a bit of time figuring out how to use each feature using the detailed instruction booklet. This also contains a spell chart teaching you how to cast each spell and showing you which are the training spells. There are 11 spells in total to learn. With a single wand you can take part in spell training or play free play practicing all of the different spells. If you have more than one wand you can also do spell practice together and play wizard tag. The children are still getting to grips with playing spell practice together as Zach hasn't quite 'got it' yet but they love playing wizard tag. 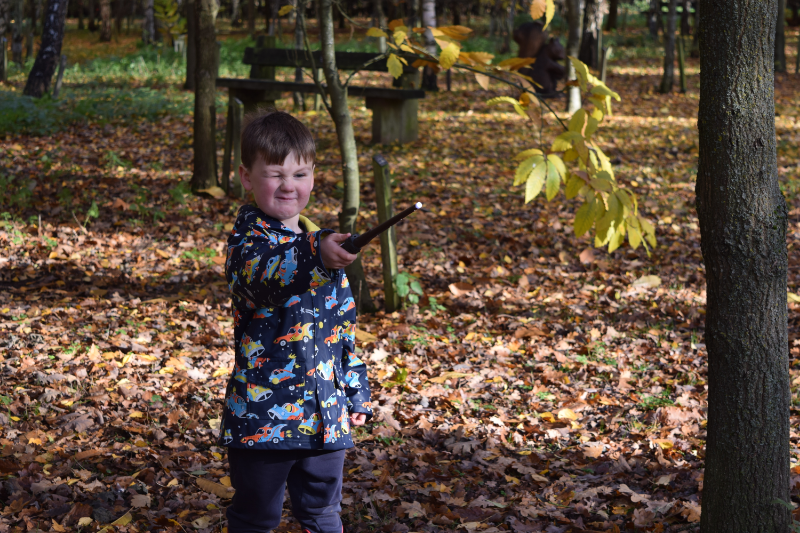 After testing out the features at home we decided it would be really fun to take them along to our local forestry centre and play in the woods. Of course it wasn't only the children playing, Sam and I had a wizard tag battle running through the woods, which obviously I won! Unfortunately the children didn't record or take photos of us! The children then made this video demonstration of how to play wizard tag. Watch it to see who wins. They were told the loser would be sleeping in the cupboard under the stairs. As you can see the light and sound effects are so important and bring all the fun to the game. As part of wizard tag, They both start with 5 lights, they zap at each other and whoever loses all their lights first loses. It is really fun and a game of complete luck! The kids haven't stopped playing for almost two weeks now and I can see exactly why the wizard training wands have been voted one of the top toys this Christmas! The Harry Potter Wizard Training Wands are available to buy at most toy retailers. *We were sent the items featured to review. All opinions are my own.